Earning a living while traveling or living in a more exotic location is the Holy Grail for a lot of people. Younger people want the adventure. The rest of us want to transition to a cheaper country now but still like to work. If you move to Mexico, remote work is the absolute best way to go. But it’s very difficult to work in Mexico legally and the pay is very low. People who can earn U.S. dollars while living in a less expensive country have the achieved the ultimate nomad dream. There are several proactive steps you can take to begin your crusade. One is learning something of the language of the country you want to work- because you are there, and you might need to ask someone where you can buy as ink cartridge while you are there. Another step is learning how to perform remotely by doing it in city you live in now for a few years before taking off for the jungle. I remember how shocked I was 25 years ago when a colleague of mine asked our boss if he could work remotely several days a week. In that era, I had never even dreamed someone could work remotely. We had a highly interactive office with tons of meetings and face-time. He was given permission. Why? Because the CEO had a huge amount of trust in him, based on years of high production and responsiveness to everyone he worked with. You will need to develop that same track record if you are going to convince your current employer to let you work from home if it’s not the norm. Working remotely is a privilege usually bestowed as a reward for exceptional work, not something granted to slackers. Professionals working remote have to work even harder and take special measures to retain the privilege. By beginning your remote work domestically, you can understand the key differences, some of which you may not like, and how to deal with them. Working from another country has its own set of challenges on top of those every remote employee encounters. One of the best pieces of advice comes from the Time Doctor: turn in your work 24-48 hours ahead of a deadline to allow for time-zone and technical snafus. Deadlines are already stressful so this gives you and idea of how much harder you have to work at times. With over 43% of people doing at least some work remotely, an explosion of articles has been written on how to overcome common obstacles like social isolation and how be successful as a remote employee. The more used you are to engaging people online and in social media, the better you will adjust to remote work. According to CEOs of companies that hire a lot of remote employees, even though you don’t work together physically, you have to develop relationships with colleagues online that duplicate the dynamics of a site-based smoothly running team. To work together yet remotely, you still need to know what makes your co-workers tick. You still need the empathy and cooperation that only comes from personal relationships with colleagues. You may need to be creative in seeking out ways to develop those relationships. Remote co-workers in some of these companies do things like join virtual running groups and book clubs to take the place of lunches together and break-room socializing. You also need to develop a daily routine to stick with. Obviously, the discipline of a martial arts master helps. By starting out only a day or two a week, you will get used to tools like Skype, Zoom, Join.me and Google Hangout to visit and schedule meetings In addition to document sharing programs like Dropbox and Google Docs, sophisticated project management tools like Slack and Basecamp have been developed specifically for remote teams. Remote work emphasizes accessibility and being a proactive problem-solver. You can’t walk to the next cubicle and get advice. Good writing skills are paramount since so much more of your communication is written. Clearly, the numbers of remote workers wouldn’t continue to rise just because employees prefer to work in their pajamas. It’s growing because of the benefits to employers who have figured the game out. Those who have mainly virtual offices have learned that managing a lot of remote employees is different. They recognize the unique qualities of a good remote employee and have cultures that emphasize transparency (sharing all emails), “over-communication,” and virtual relationship-building, in a way distinct to remote teams. You will be amazed how many companies hire remotely. Some remote jobs are graphic and web design, book-keeping, A/V production and copywriting. I know several computer programmers and I.T. professionals in here in Mazatlán. A neighbor of mine here in Mexico is geology engineer who lives here with his son. “I can work anywhere,” he told me while muscling a shopping cart full of household goods in plastic bags into the elevator. If you don’t work for a company that allows remote work, or the work simply cannot be done remotely, now is the time to start reading the blogs of those that do and learn what skills they need. Even if you are in the final stages of your career, their blogs will open your world to what’s happening out there in the world of remote work. It’s pretty amazing and I’m pretty damn jealous of the way some younger people have it wired down. If you can’t transfer your skills to remote work, you might want to try to try a remote part-time job on for size that requires less specialized or technical skill. Can you tell a fairy tale? There is a high demand for people who are simply good with young children to teach English online to Chinese pre-schoolers (and we wonder why they’re taking over the world). General transcription jobs requires a little practice bringing your typing speed up, some headphones, a foot pedal and Microsoft Office. Many websites have cropped up specializing in remote employment opportunities, like Remote.com, We Work Remotely and even the stand-by Indeed posts many. Before you even make the move to a cheaper country, by working remotely you will save as much as $4,000-5,000 a year in car wear and tear alone. If you add the money you save on car expenses, wardrobe and meals with what you could save by living and working from a cheaper country, you might add thousands of dollars more to your retirement savings. I save at least a thousand dollars each month I live in Mexico, and that's living on the beach (I could save more but my friends won’t let me tamper with my wine budget). I save $2,000 a month if I count what owning a car used to cost. All this while picking up another language and spending week-ends exploring a rich, fascinating culture. What more could you want? Related Links: (Well, kind of related), music for productivity. Most recent: If you've been involuntarily retired, you will need several years to re-invent yourself, and Mexico might just be the place. Coming up: You are bound to meet more people in Mexico with stories about exotic bug bites, like my friend's. Kerry Baker is the author of two books. 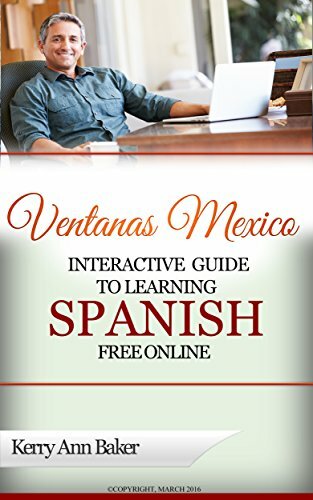 The first "The Interactive Guide to Learning Spanish Free Online," a comprehensive guide to the best free language tools on the web, organized into lesson plans by skill. Use the book's interactive links if you want to create a new lesson plan every day. Study on your tablet, e-reader or laptop You CAN learn Spanish over 50. By creating fresh experiences every day, you are more likely to stick with it. Don't be an expat who can't speak Spanish! The time to start is NOW. 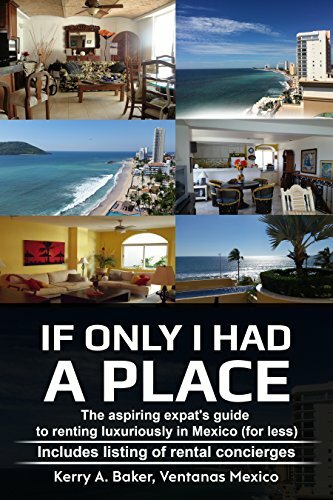 Her second book, "If Only I Had a Place," a guide to renting in Mexico, smartly accessorized with a list of rental concierges in the most popular expat cities in Mexico. Renting in Mexico is different, with cultural differences that can work both for and against you. Avoid the pitfalls, benefit from the advantages with help from this book.